Free Shipping Included! 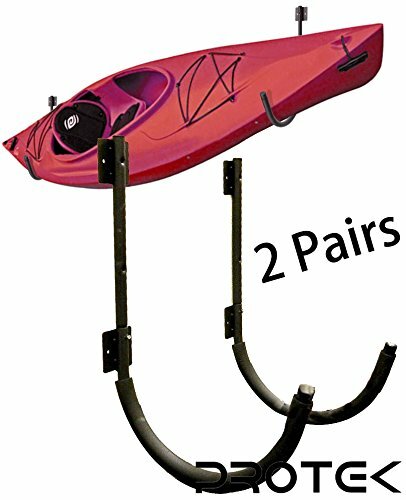 Protek 2 Pair of Indoor Outdoor 150 Lbs Kayak Canoe SUP Board Paddleboard Snowboard Surfboard Wakeboard Ski Storage Dock or Wall Mount Hook Display Rack Cradle Bar by Protek Sports at Kerinci. MPN: 43237-2. Hurry! Limited time offer. Offer valid only while supplies last. 2 of 3" x 3" Mounting Plate on each rack, can hold up to 150 lbs, Each Rack with 6 Wall Anchor Maximum Safe your space. Easy installation on Wall or Dock, all hardware included, U.S fast shipping.